The original rewarding system with yearly rated performance reviews isn't working anymore, you know that. But what is working? Sure there must be an alternative? 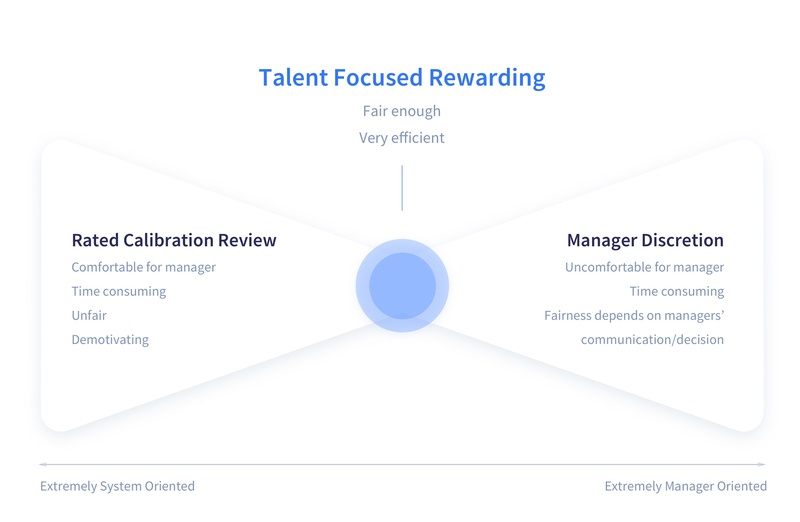 To help you move away from a performance-based compensation model, I made a useful mini guide with tips on how to do talent reviews the right way. 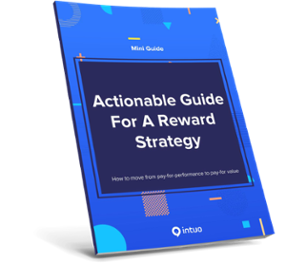 For once and for all, wave goodbye to the nerve wrecking yearly performance reviews with this actionable mini guide on creating a future-proof rewarding framework! We used to ask managers to give ratings for everyone in their teams, on their objectives, on competencies, on behaviours and/or on values. Using those ratings we would organise a talent review for someone and ask the opinion of HR Business Partners and other managers this person has never worked with. We would get to a final score per person, and for each job title and score we defined a fixed percentage of raise. For example: a junior developer with a 3/5 would get 6% raise. The issue with this is that it takes a lot of effort to discuss with multiple people who's a 4 and who's a 5 and you end up disappointing people. Not because they've gotten a 6% raise instead of a 7% raise, but because they feel like the organisation doesn't appreciate their work, talent and effort. There's a difference between a reward review: "Let's go over everyone with management to discuss their bonus and salary increase", and a talent review: "Who's our top talent, who do we need to give a special development track and who do we need to pay attention to regarding succession". We propose to align those sessions. Reward everyone according to a fixed plan, and focus on the talent-part of the review conversations. Before we dive into the new reward framework, it’s important to realise that you too will have to change your mindset. You need to understand that paying people and increasing someone’s salary is about perceived fairness and not about recognition. Because that is the job of the manager and not of the rewarding system. Want to know more? Download the mini guide! Carrots and Sticks: Future Proof?